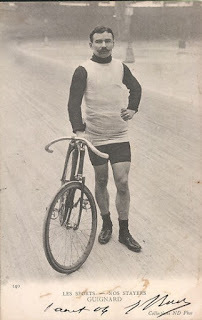 Following the Stayer Bonanza of a few months back here are a whole load more stayer images. 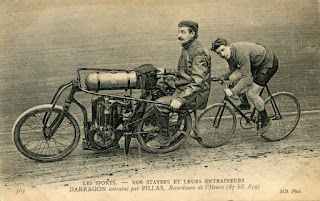 Once again the celebrity of both the stayer pilots as well as the cyclists themselves comes across. 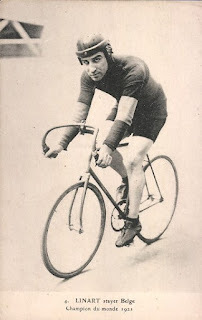 The stayer riders needed great skill to accurately pace their partner cyclist and a good rider knew a trick or two to get his cyclist ahead and stay in the lead. Paced cycle racing still goes on though is very much a minority sport. 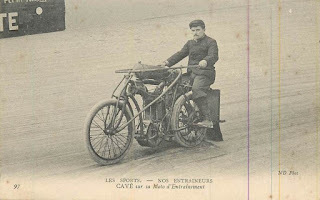 There's been a strong revival of board track racing motorcycles of late; it would be great to see a similar renaissance for the stayers. A stayer was always a very limited production machine, not so many years back they were broken up for their motors but appreciation is rising and there are a few survivors out there. Wouldn't it be wonderful to re-create the spectacle of racing the boards. 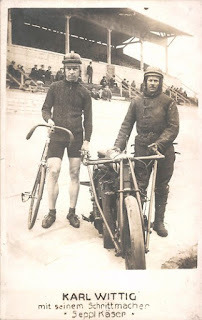 I have a c1910 track cycle - if you've got a working pacer get in touch and let's see what we can do! 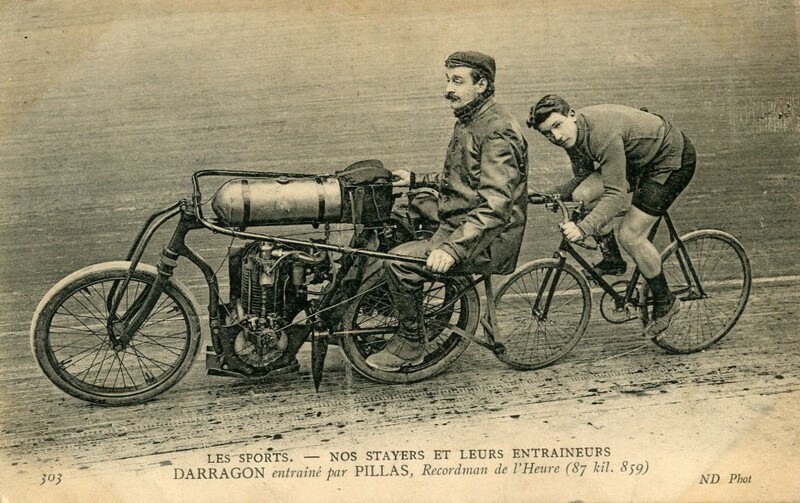 exhaust v-twin. 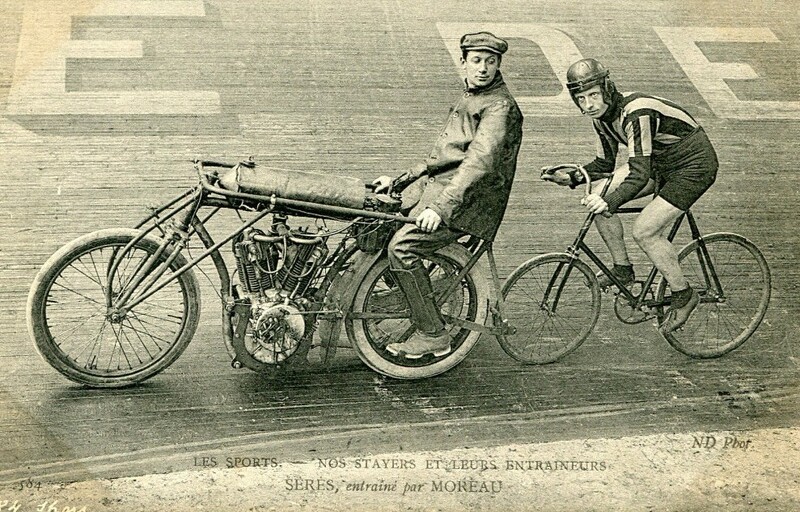 The cyclist is Seres and the pacer Moreau. This Gentleman goes by the name of Cavé. of Major Taylor you must read it. Try the wikipedia biog. Matt's Kawasaki combo loaded up with folding trailer about to recover a poorly CX500 en route to the Flying Herman's Sidecar Treffen. Who needs the AA? Thanks for the picture Matt. A few more Velocette press photos, these dating from the late thirties and all featuring the same MSS. Just a great photo. She looks genuinely happy to be on the Velo! 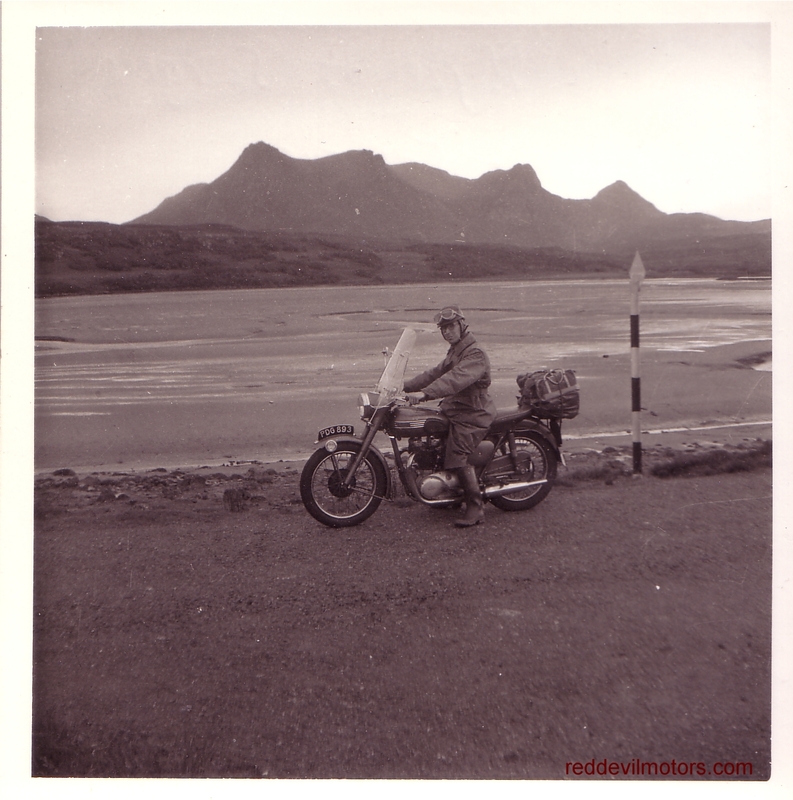 Collection of snaps from a family album dated August 1961 of a tour of the Scottish Highlands on a pre-unit Triumph Speed Twin. The captions underneath the images are what is written on the reverse. 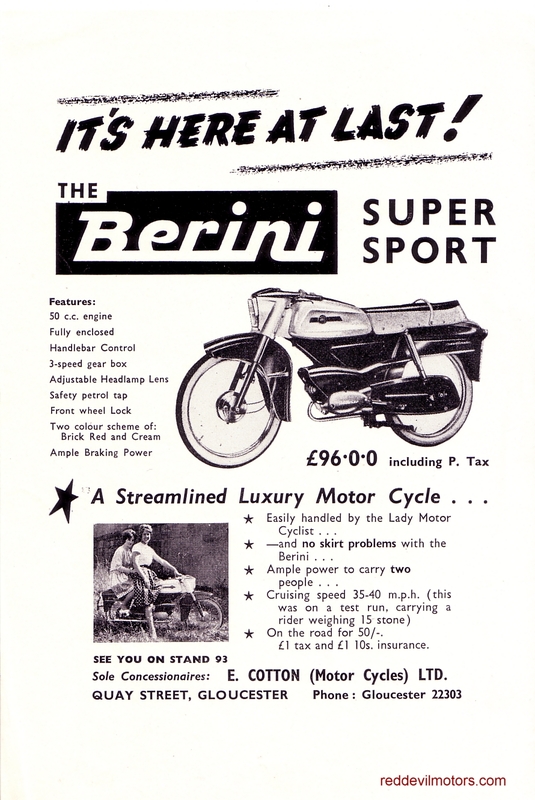 Advertising flyer for the very jet age Berini Super Sport moped from the late fifties / early sixties. 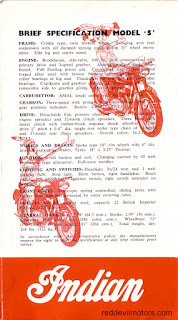 Interesting to see at the bottom of the flyer that the importer was Cotton Motorcycles of Gloucester. The Berini name still lives on in its native Holland as a brand name for imported Chinese scooters. Personally my aggravation with ethanol has been minor. 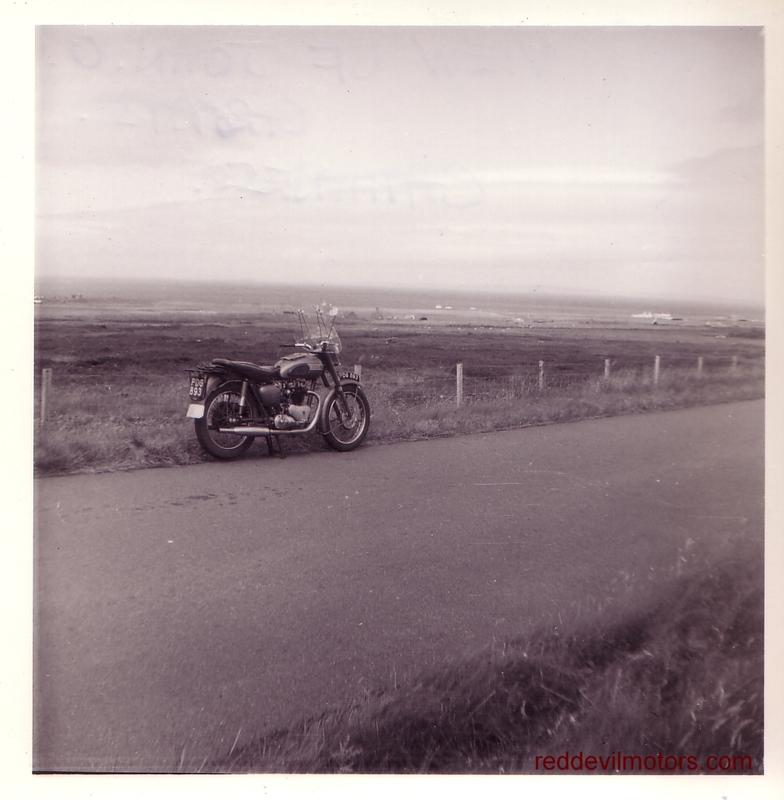 I haven't noticed a great deal of difference in running, nothing that a tweak of the carb settings won't cure. 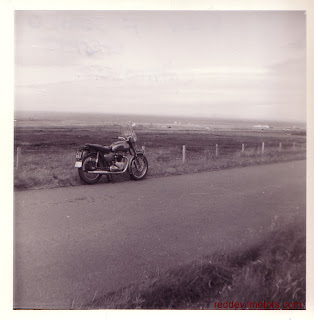 What I have noticed are minor foibles, prematurely dying spark plugs on machines that have been left standing. 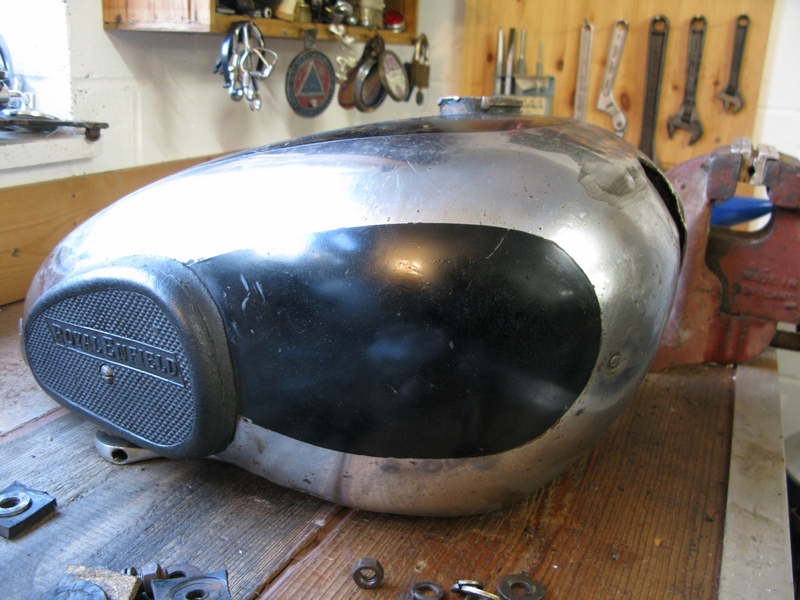 A carb 'varnished' on the insides from slowly dissolving pre-ethanol Petseal tank liner to the point it stuck wide open. A greater than expected number of 'weeping' fuel taps. My main beef with ethanol has been the outlandish pointlessness of it. Burning it is no better than burning hydrocarbons and growing it takes land away from food crops in a time of rapidly growing population and climate catastrophes with the backdrop of regional conflict brought on by poor harvests. Our Governments actually subsidise and promote this cul de sac of idiocy whilst the market itself is inextricably moving towards electric vehicles. Of late though I have found one more reason to hate ethanol, in the last year three of my machines have been stricken by tiny pinhole leaks in petrol tanks. The racing Bantam sprayed a fine mist of fuel over my crotch from a leak in the top seam as I thrashed it through the Picos mountains during the 5000 Curves. 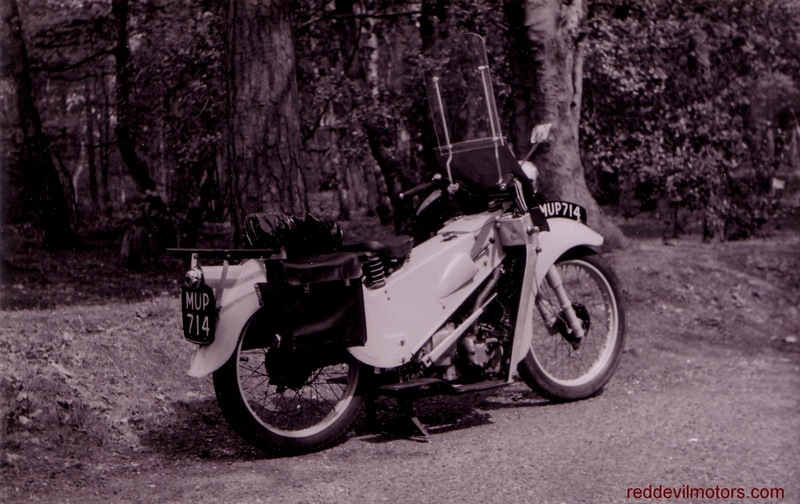 My J2 Enfield sploshed toxic fuel down my leg as I set off for a gentle Sunday run a couple of months back and the Gilera dripped and dripped over a hot engine threatening spontaneous combustion in a Social Club car park. These leaks have all been from the top seams of tanks. It is commonly held that ethanol can secretly rot out the bottom of tanks as it degrades and forms a layer of water and promotes an electrolytic reaction. I have found that it seeks out the tiniest of weaknesses and exposes them. A little research reveals that ethanol has a slightly lower viscosity than mineral based fuel, could it be that small holes overlooked by good old fashioned pre-ethanol fuel are highlighted by the accursed plant juice? The once noble Indian Motocycle Manufacturing Company of Springfield, Massachusetts had to endure many an ignominy before reaching the current revival. 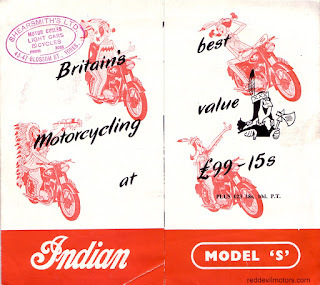 The first of these was at the hands of the British Brockhouse company who bought the rights to the name after Indian went under in 1953. Brockhouse was a heavyweight engineering company who had already dabbled in motorcycles in a small way with the Corgi scooter. After purchase of the Indian name the Corgi was marketed in the States under the Indian brand as the Papoose model. The next step was the Brave. 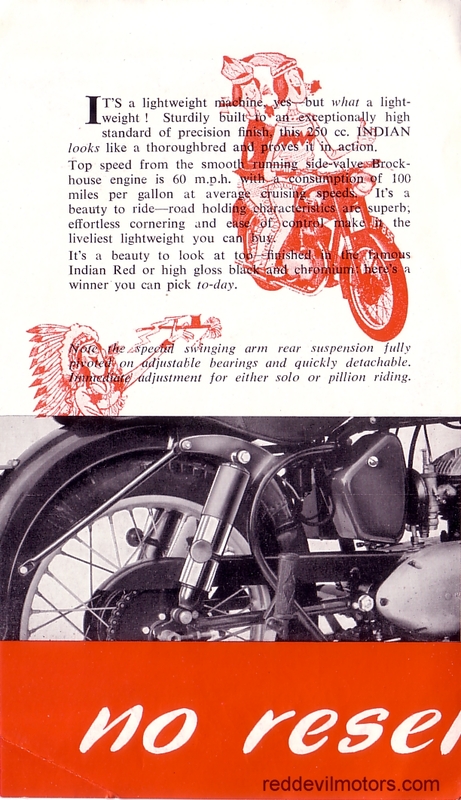 The Brave was sold primarily on price and was notable for having a sidevalve motor of 250cc when other manufacturers had moved away from that format to overhead valves or two strokes. 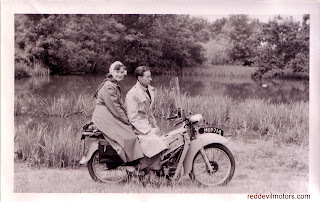 Also noteworthy was the Indian's woeful lack of power, one can only speculate in disbelief over how appalling the performance must have been when hitched to the optional sidecar. 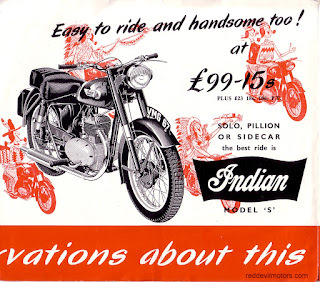 Despite all this the Indian Brave is now sought after (just shows the power of branding folks!). This brochure dates from 1955; the over-egging of the 'Red' Indian Brave connection is hugely crass to modern eyes. 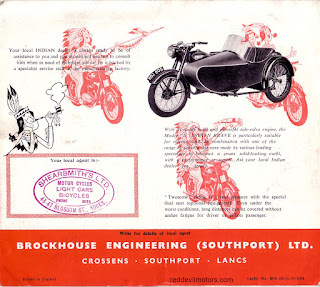 Brockhouse were later responsible for bringing Royal Enfield motorcycles in to the States under the Indian brand. 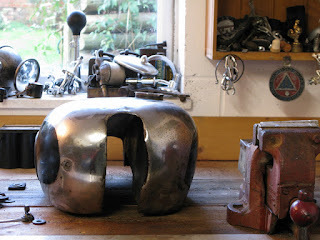 Model 'S' is for spring frame. was the only way to do it. 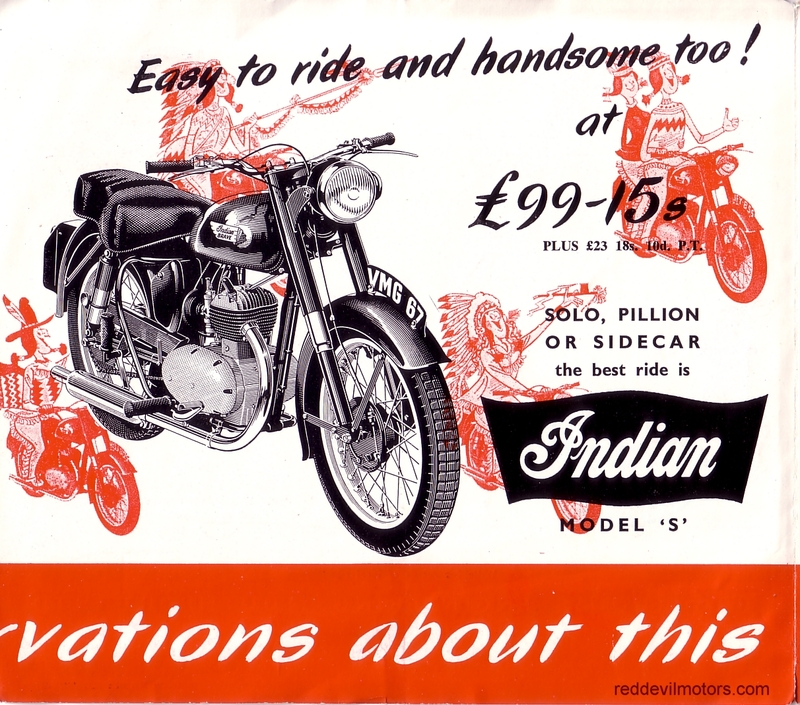 'No reservations about this Indian' - eugh! Last scan of the centre fold out. 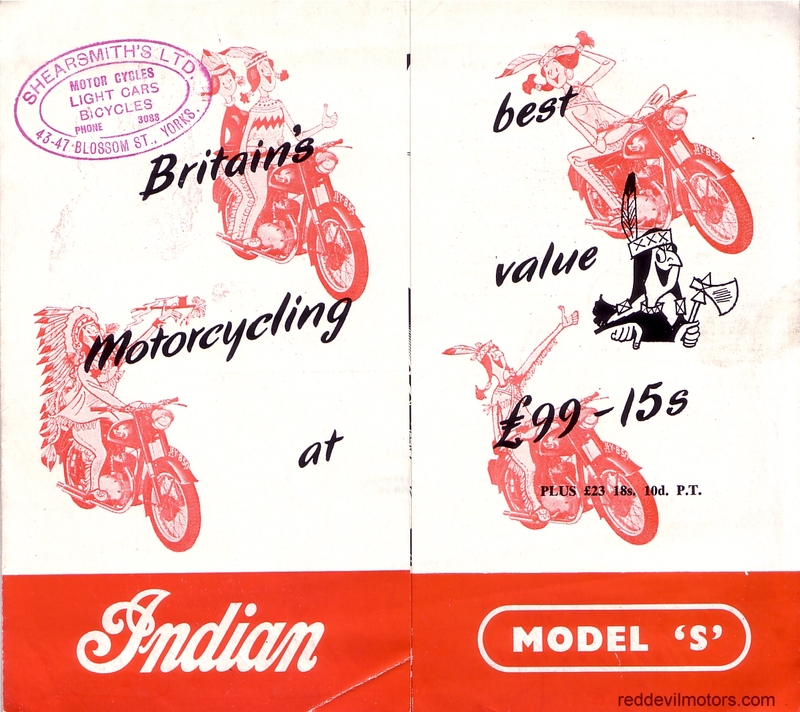 Rear cover of the 1955 Indian Brave brochure. 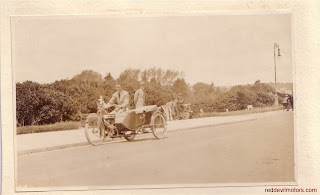 A flat tank Douglas combination out promenading. Vintage Douglas motorcycle and sidecar. The time has come around again for a listing of excuses to pack up and head across the Channel on two wheels. 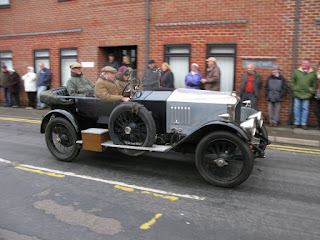 Once again I haven't managed to find any decent calendar of continental events online so here is my humble offering. By no means comprehensive the listing has greatly expanded this year though it still simply represents a list of events that I have either been to in person, friends have been to, or I have heard good things about. If you have feedback or events you know of that should be included in the list then how about getting in touch. There's a noticeable shortage of events in the listing out in Eastern Europe and Scandinavia and I'd love to put this right. 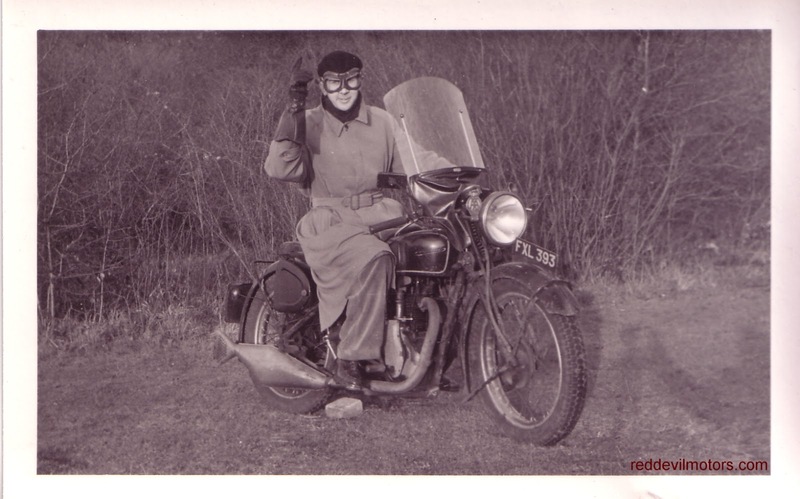 13 and 14 February 2016: Moto Retro Wieze, Wieze, Belgium. 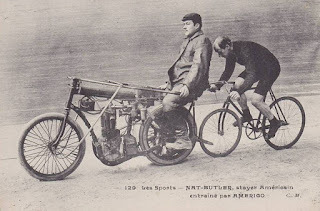 - Billed as Belgium's biggest old bike autojumble. 12 and 13 March 2016: Salon de Reims, Reims, France. 1 to 3 April 2016: Veterama, Hockenheim, Germany. 17 April 2016: Circuito di S.Pietro in Trento, S Pietro in Trento, Italy. 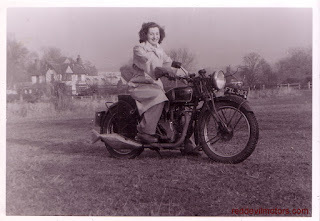 23 and 24 April: Iron Bikers, Circuit Carole, France. 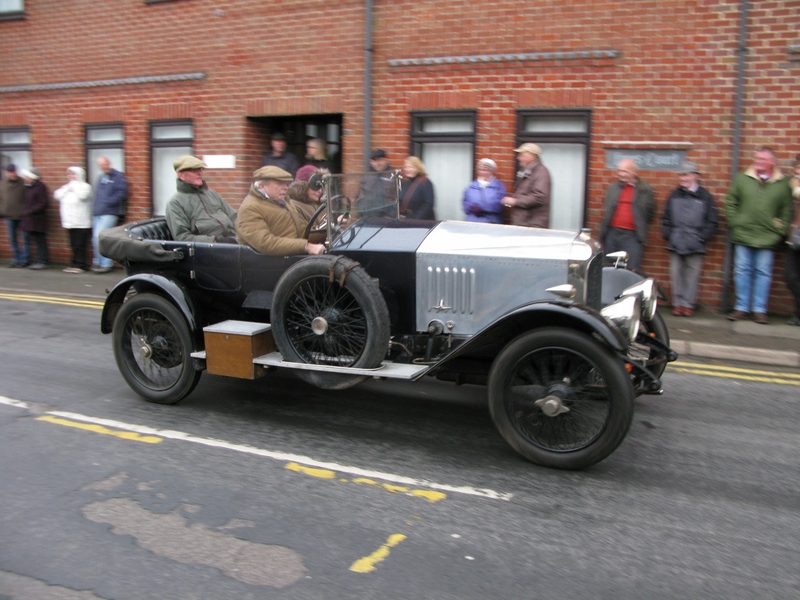 29 April to 1 May 2016: John Bull Rally, Belgium. 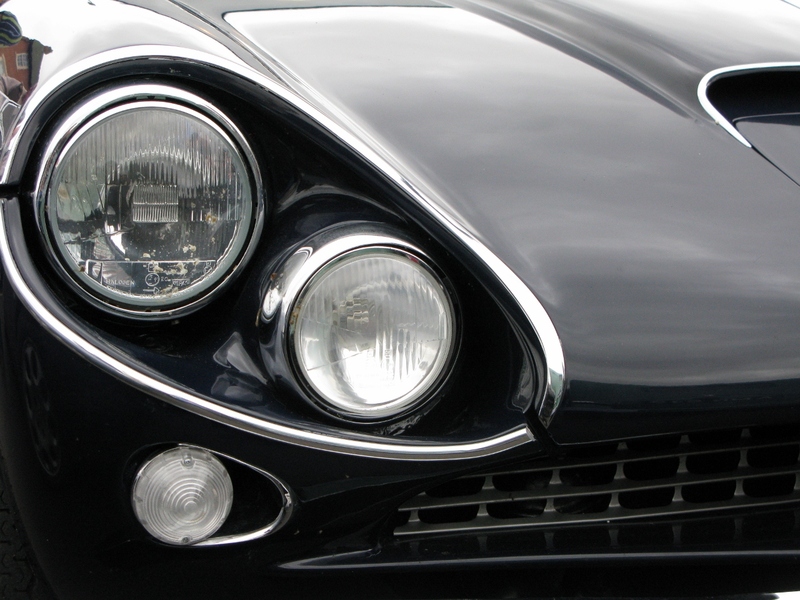 6 to 8 May 2016: ASI motoshow, Parma, Italy. 12 to 15 May 2016: 20th IVVMCC Slievenamon pre-31 Rally. Co. Kilkenny, Ireland. email: seanivvmcc@gmail.com. 13 to 15 May 2016: Paris Dunkerque Rally, France. 18 to 25 May 2016: Motogiro D'Italia, San Marino. - Hooning around Italy on small bikes! Touring event for big cc lovers too. Route this year drops in to Croatia and Slovenia too. 20 to 22 May 2016: Tour de Bretagne, Bains Sur Oust, France. 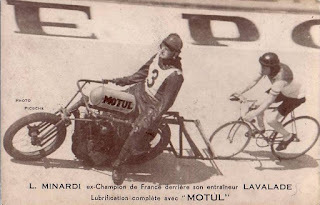 21 and 22 May 2016: Coupes Moto Legende, Dijon, France. 30 May 2016: Boulogne Bicycle Rally, Boulogne, France. A leisurely and tipple fuelled trundle around the former Boulogne Grand Prix Circuit. There's no official website, the whole event is informal. There's a good account of it and some tips here though. 5 June 2016: Rando Cyclo, Sars Poteries, France. 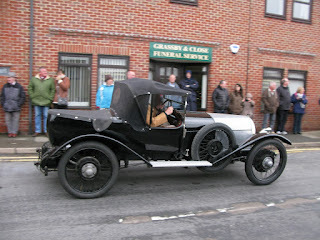 - Event for those who favour fewer horsepower. Double check the date if planning to go, I always find it difficult to get info on this event. The best info I can find at the moment is here on this Mobylette forum. Good if you speak Dutch, if not get the google translate out. There's an account of last year's event here. 2 to 5 June 2016: MC Piston Cantabria Tour, Cantabria, Spain. 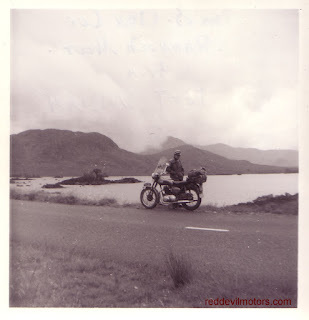 - I rode a MC Piston event a couple of years ago and it was great. 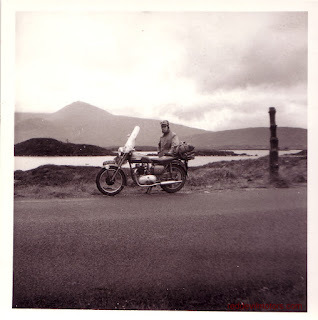 Expect wonderful scenery, great hospitality and laid back but efficient organisation. 10 and 11 June 2016: Ton Up, Lurcy Levy, France. 11 and 12 June 2016: Reivocazione Storica Circuito Tre Monti, Imola, Italy. 25 and 26 June 2016: Grand Prix de Tours, Tours, France. 8 to 12 June 2016: Wheels and Waves, Biarritz, France. 11 and 12 June 2016: Autodrome Heritage Festival, Montlhery, France. 18 and 19 June 2016: Cafe Racer Festival: Montlhery, France. 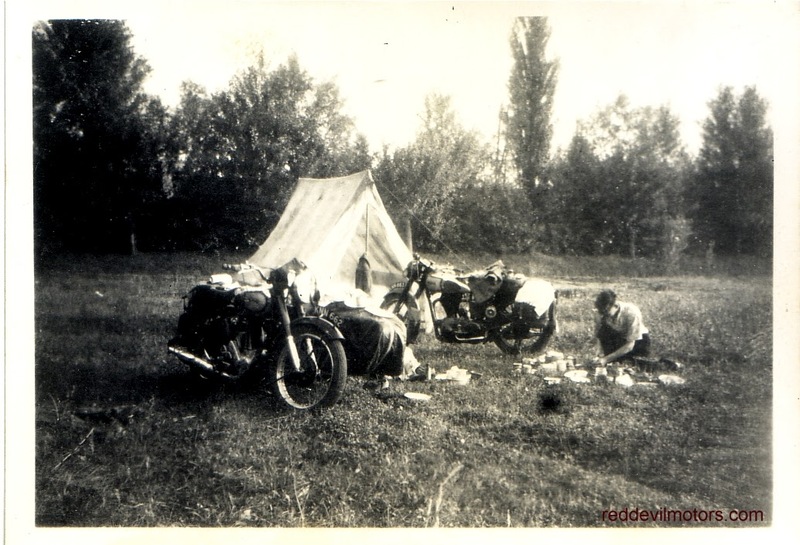 23 to 26 June 2016: Fiva World Motorcycle Rally, Prague, Czech Republic. - Annual FIVA rally, held in a different country each year. 1 to 3 July 2016: Biker's Classics, Spa-Francorchamps, Belgium. 10 July 2016: Stella Alpina Rally, Bardonecchia, Italy. 14 to 17 July 2016: Round Kurland Rally, Latvia. 15 to 17 July 2016: Classic Bikes Chimay, Chimay, Belgium. 17 to 21 July 2016: International Schleswig-Holstein ADAC Country Tours, Schleswig-Holstein, Germany. 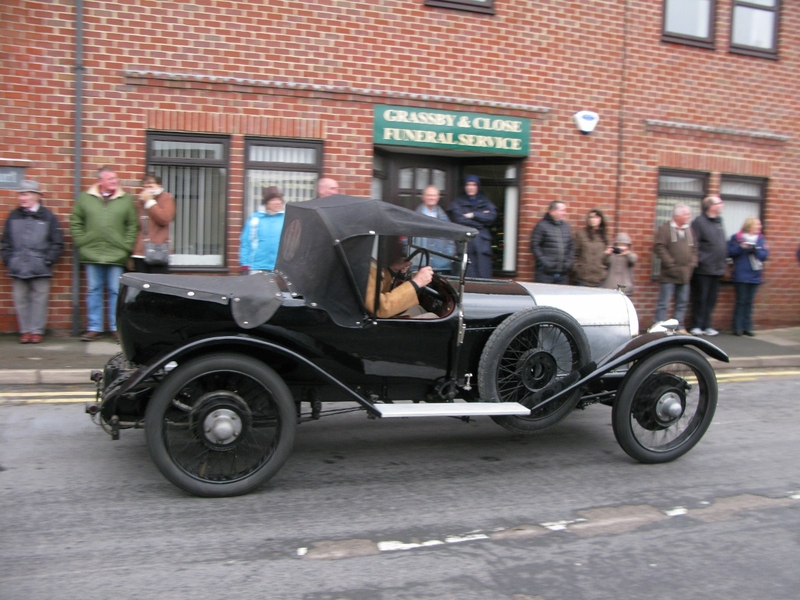 5 day touring event for pre-1950 machines. 22 to 24 July 2016: International Windmill Rally, Gieten, Holland. Bi-annual vintage motorcycle regularity team trial. 5 to 7 August 2016: Schloss Dyck Classic Days, Jüchen, Germany. 6 and 7 August 2016: Journées Coyote: Nogaro Circuit, France. 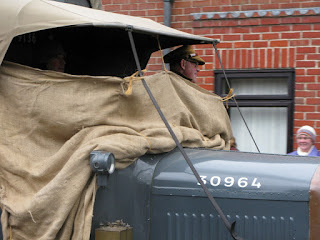 20 August 2016: Oldtimerdag Ruinerwold, Ruinerwold, Netherlands. 21 August 2016: Oude Klepper Parade, De Haan, Holland. 19 to 21 August 2016: Belgian Classic TT, Gedinne, Belgium. 23 to 28 August 2016: Irish National Rally, Munster, Ireland. 27 and 28 August 2016: International Hengelo Rally, Hengelo, Holland. 3 and 4 September 2016: Red Bull Alpenbrevet, Lugano, Switzerland. 2 to 4 September 2016: Glemseck 101, Glemseck, nr Stuttgart, Germany. 9 to 13 September 2016: Imola Mostra Scambio, Imola, Italy. 16 to 18 September 2016: Trophees Gerard Jumeaux, Circuit Carole, North of Paris, France. 17 and 18 September 2016: Bol D'Or Classic, Magny Cours, France. 16 to 18 September 2016: Circuit des Ramparts d'Angouleme, Angouleme, France. 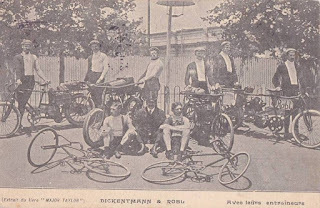 18 September 2016: International Pionierfahrt im Rheinland, Rheinland, Germany. - Event for pre-1914 machines. 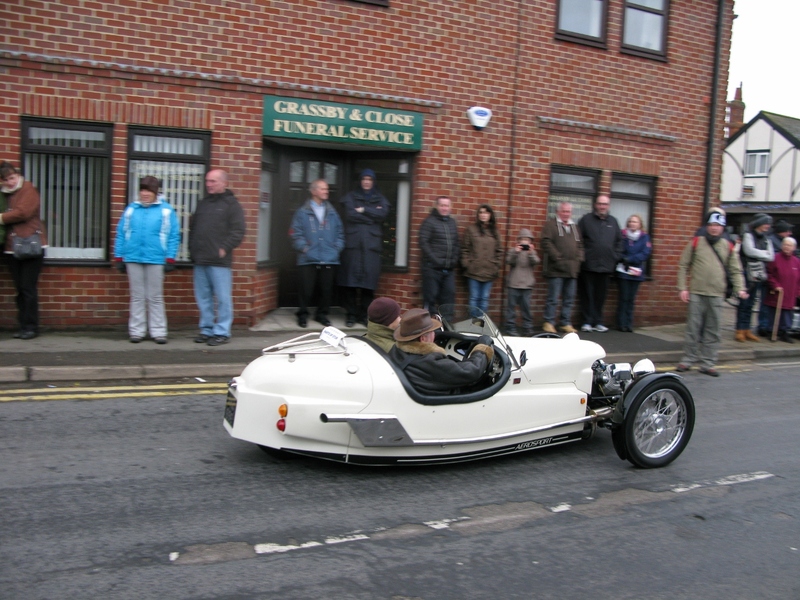 - Mighty historic alpine hill climb. Mainly four wheelers but with some motos too. Dates tbc. 25 September 2016: Montée historique Maurice Violland, Coligny, France. 26 September to 2 October 2016: MC Piston Rally Meeting, Santander, Spain. - Rode this event a couple of years back. Excellent. Great atmosphere, hospitality and stunning roads. 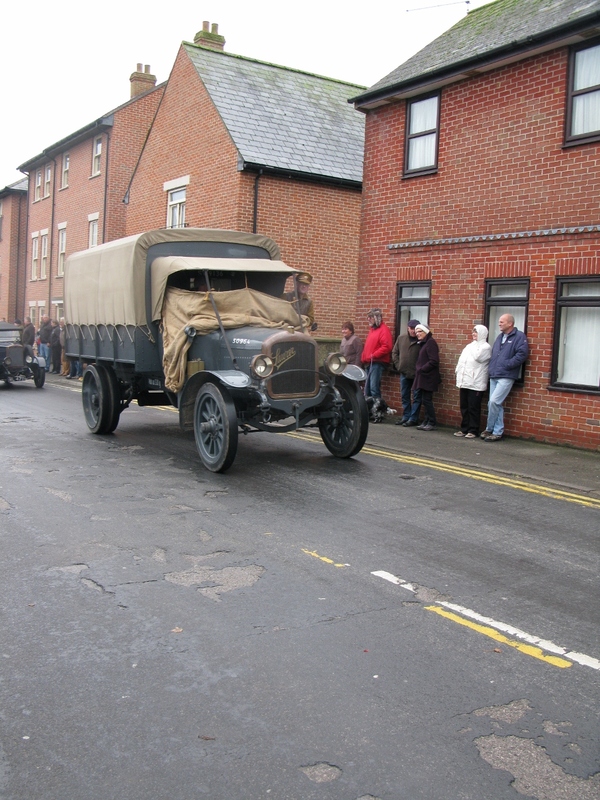 Opt in to the event as much as you like, the three day tour at the beginning was great. Very good value. 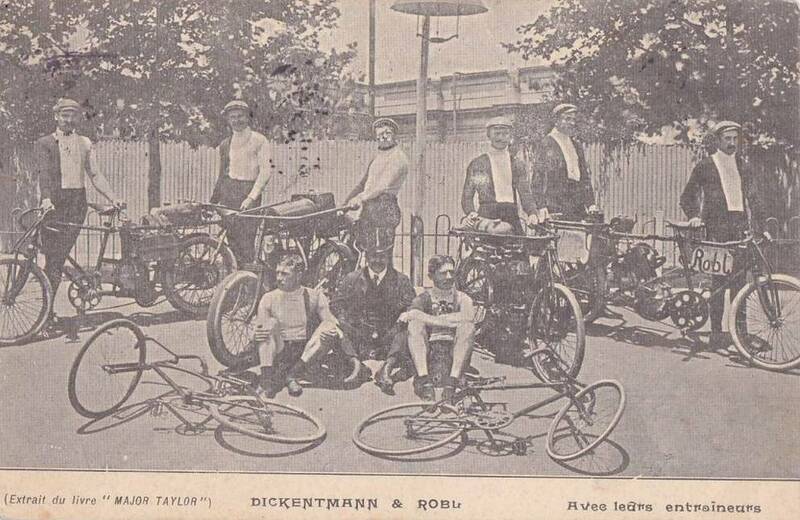 Possibly the largest old bike road riding event in Europe. 2 to 9 October 2016: Rally de Colombres, Colombres, Spain. 7 to 9 October 2016: Veterama, Mannheim, Germany. 16 October 2016: Moto Retro Leuven, Leuven, Holland. 18 to 20 November 2016: Salon Moto Legende, Paris, France. A couple of images so clean and staged that they can only be press release photos. 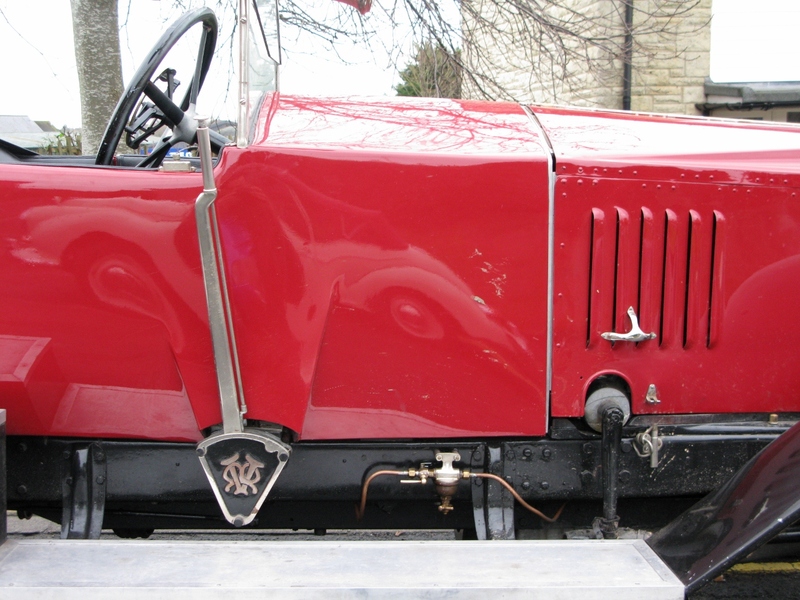 Looks like a MkII LE (Little Engine) to me. 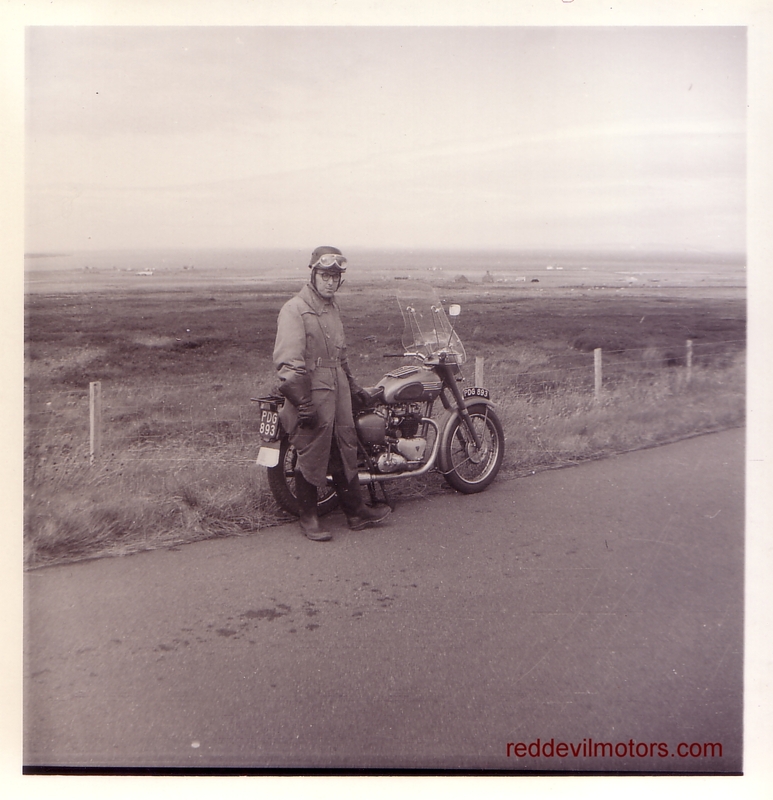 200cc of twin cylinder side valve raw power and a hand crank starter. Finely engineered machines and still undervalued. 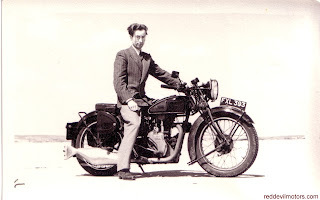 LE Velocette MkII press photo. LE Velocette MkII accessoried out with panniers and screen. 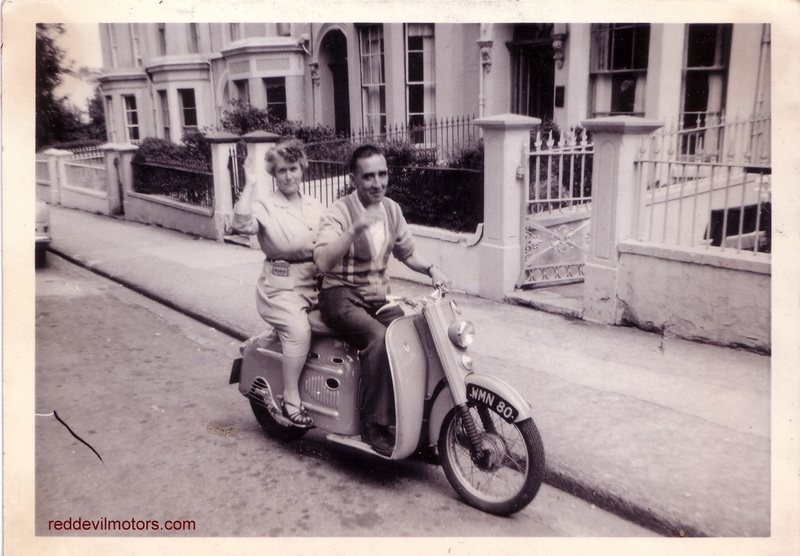 A 75cc DKW Hobby scooter. 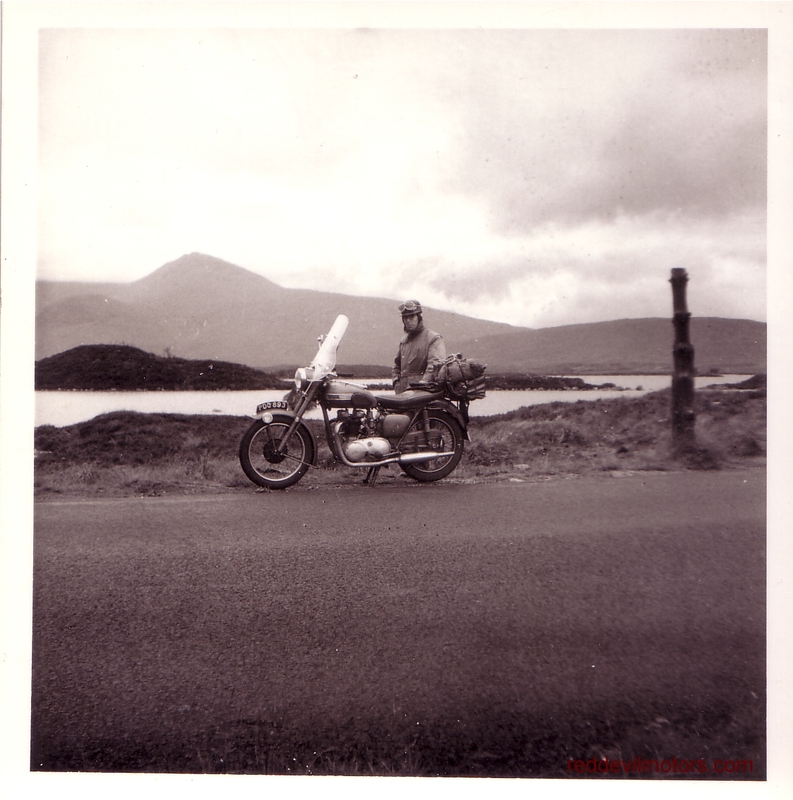 The Hobby was notable for being the grandaddy of the current wave of twist and go mini-scoots. 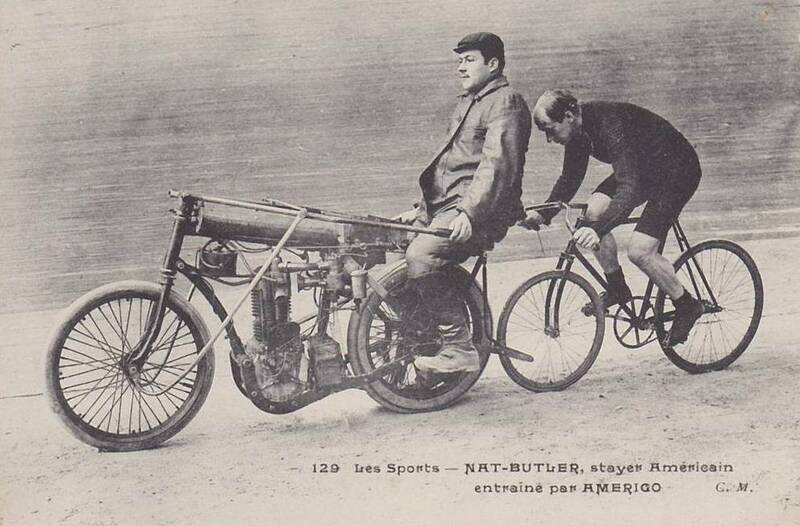 The might of the Hobby's 3bhp two stroke motor was harnessed by a primary belt drive constant variable transmission. It must have worked well enough as the Hobby was in production from 1954 to 1958 in Germany and then licensed out to the Manurhin concern in France who continued with production up until 1962. There's a great article with history and road test of the Hobby on the Iceni Cam Mag site. 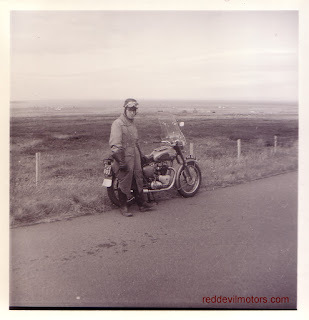 Well worth reading the road test section of the article where the experience of riding the Hobby is compared to, 'like sitting on a washing machine full of brick rubble, and running spin cycle'. The conclusion is that the 'only happy cruising speed seems to be stationary', the main problem being that with just 3hp on tap the automatic transmission keeps the motor on full power which happens to be at full revs. 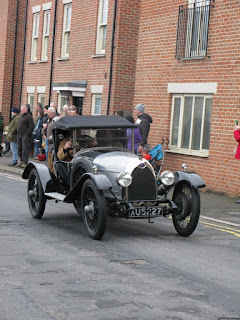 Along with a few hundred others I braved wet and windy weather along with a mild hangover to herald the New Year with fellow enthusiasts. Mainly a car turnout but a few two wheelers too. Here is a small smorgasbord of snaps from the morning. 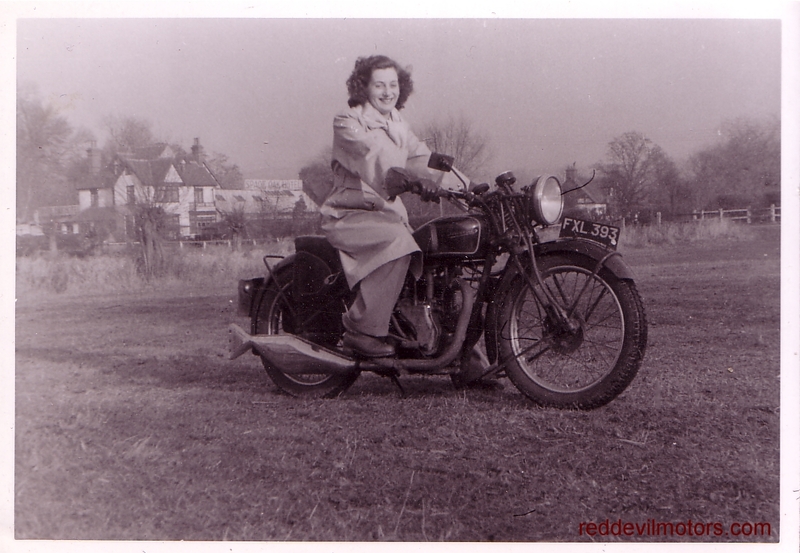 Apologies for the scant details on the captions, I appreciate a vintage car but bikes are my area of knowledge. 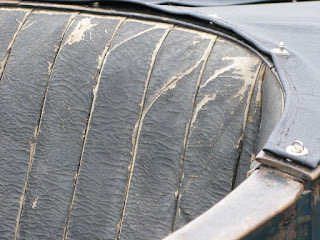 Delightful aging on a vintage Renault. 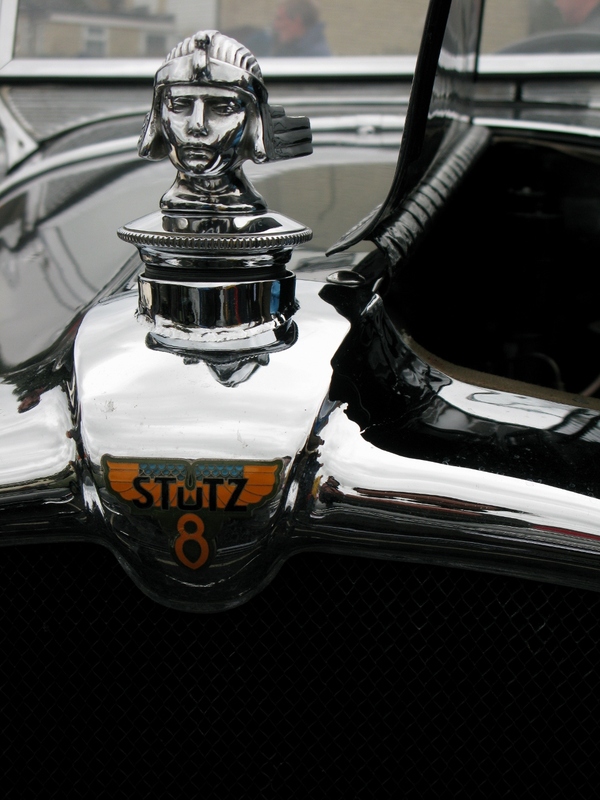 The Stutz motor in all its glory. Wonderful vintage Vauxhall. A 30/98? Another view of the Vauxhall. up. 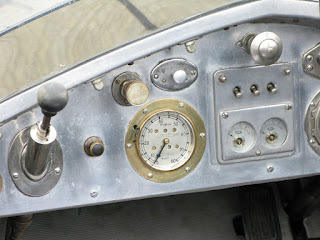 Here's the dash of another. Whatever it is it is stunning. 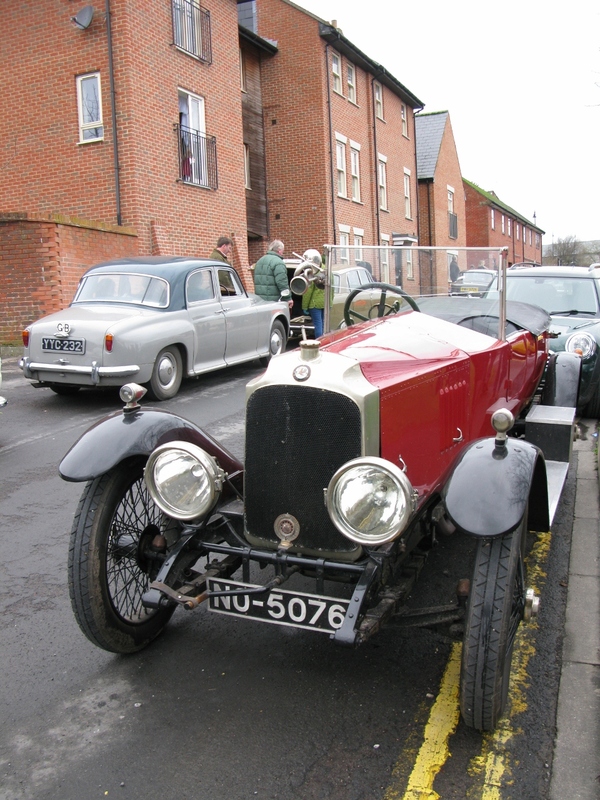 Another one of those Vauxhalls.